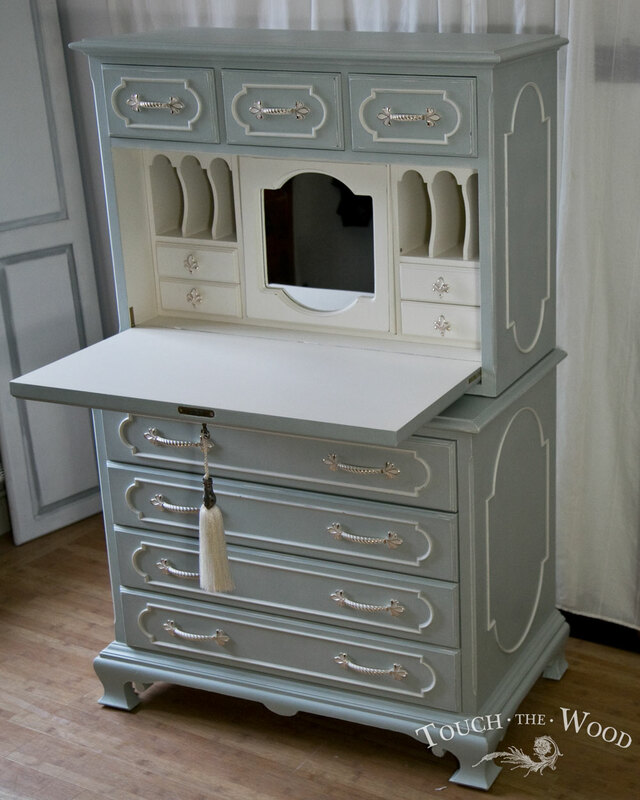 Home » We Made » Bureaus » Italian Beauty – Shabby Chic Makeover part 2. 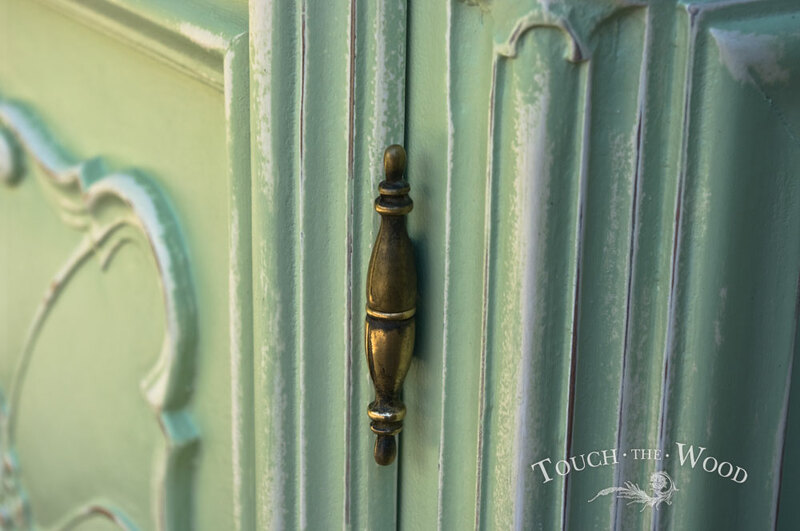 Italian Beauty – Shabby Chic Makeover part 2. 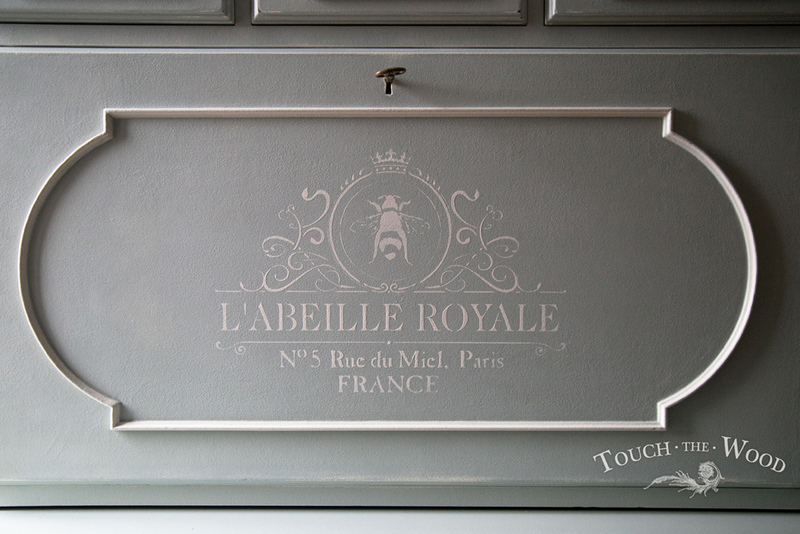 It has been a while since we posted first part covering our commissioned work with a charming Italian furniture. 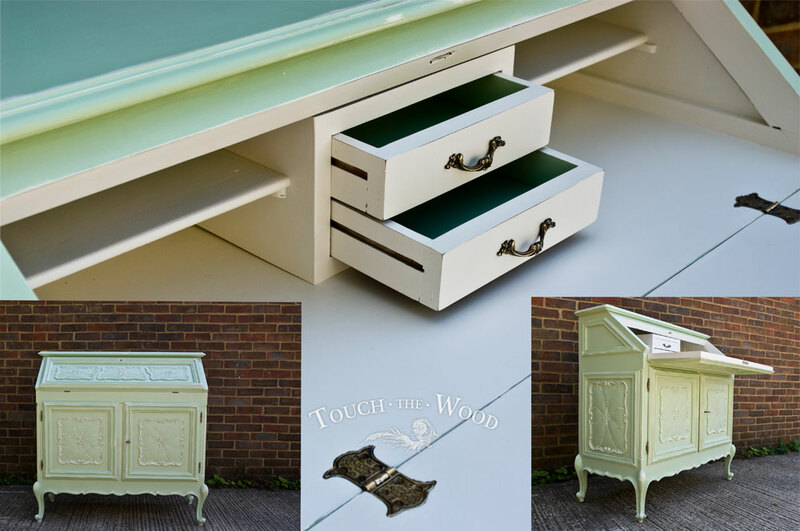 We are really happy that our client came back to us with some even more pieces to restore in a shabby chic style. 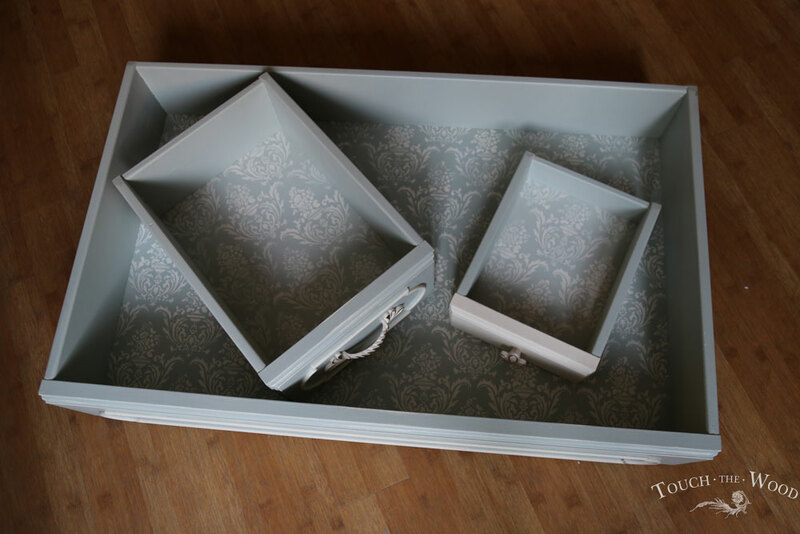 This time we would like to present you some furniture we have done recently for our nice Italian couple. 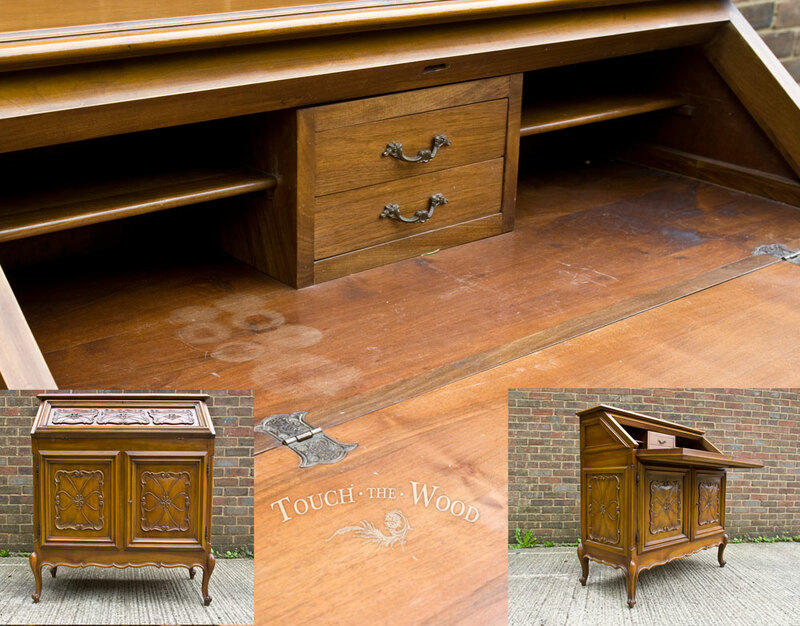 First of all, after we have delivered the card catalogue, we put our hands on a very handsome bureau with a French twist. 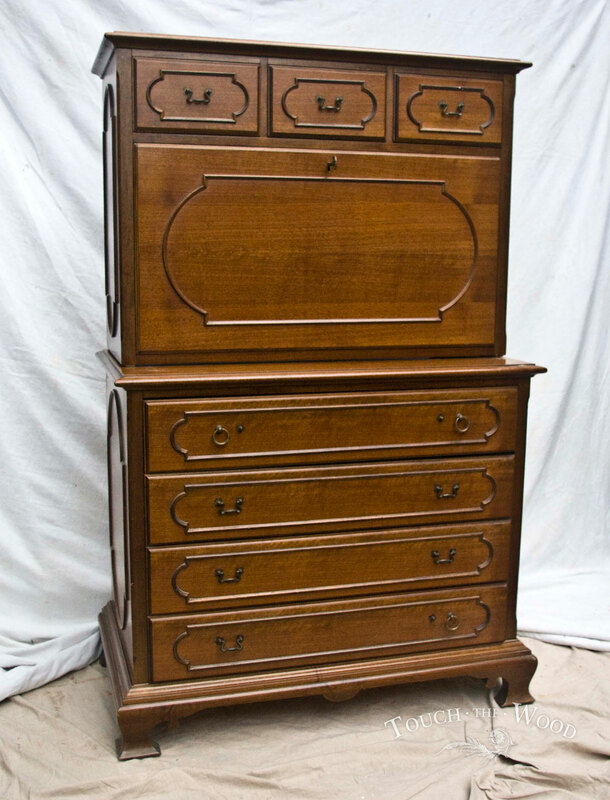 The piece (as all of them) was in a really good condition, made of solid wood with working locks and really cute legs. 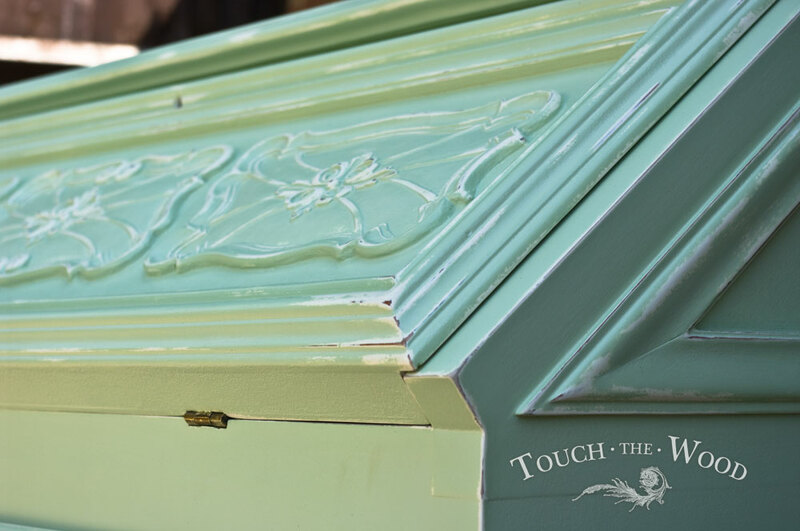 The pictures below show how the piece looked before our loving touch. You could say it was nice as it was before, however the couple decided to go with some painting, light colours to stand out and make the shape even softer and lighter. 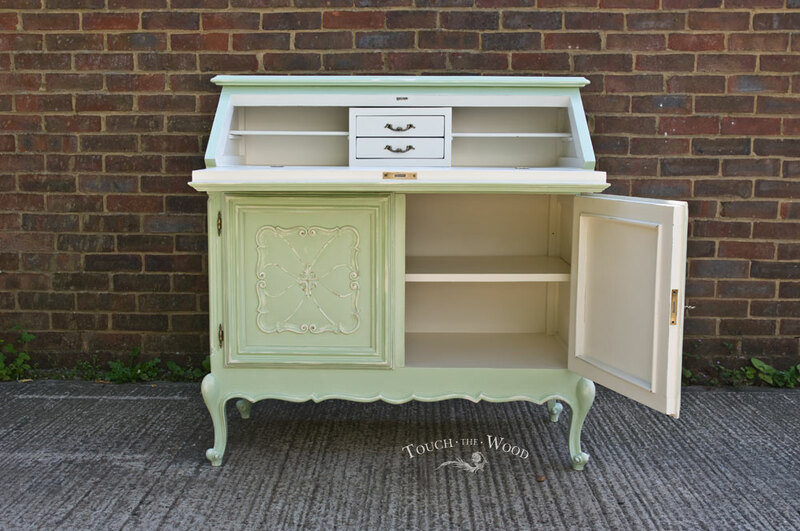 We agreed on greenish shade of pistachio as on outside layer, and `Old White` underneath and inside internal parts of the bureau; both colours mixed from Annie Sloan’s palette. 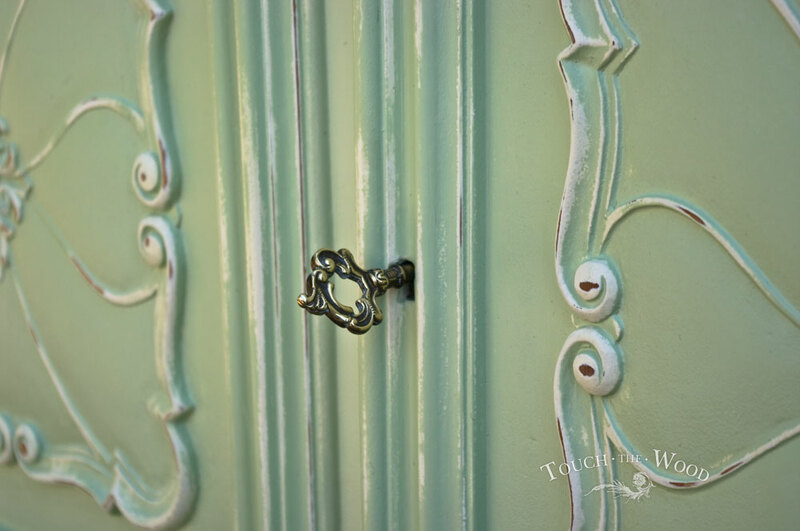 All the pistachio parts were distressed in shabby chic style to expose ‘Old White’ from underneath. This is how it looks after the makeover. 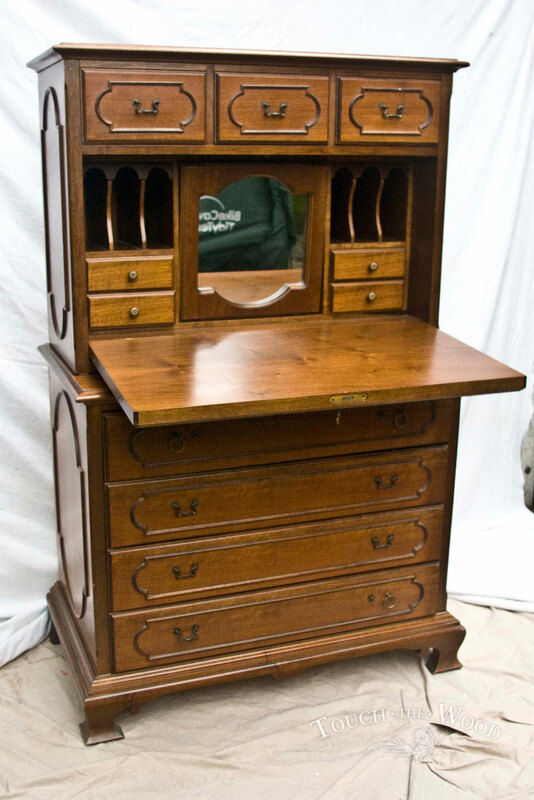 The next one on the list was another one of a bureau`s kind although this one was completely different… and it turned up beautifully. We are really proud of the final look. Have a look at the ‘before’ picture. 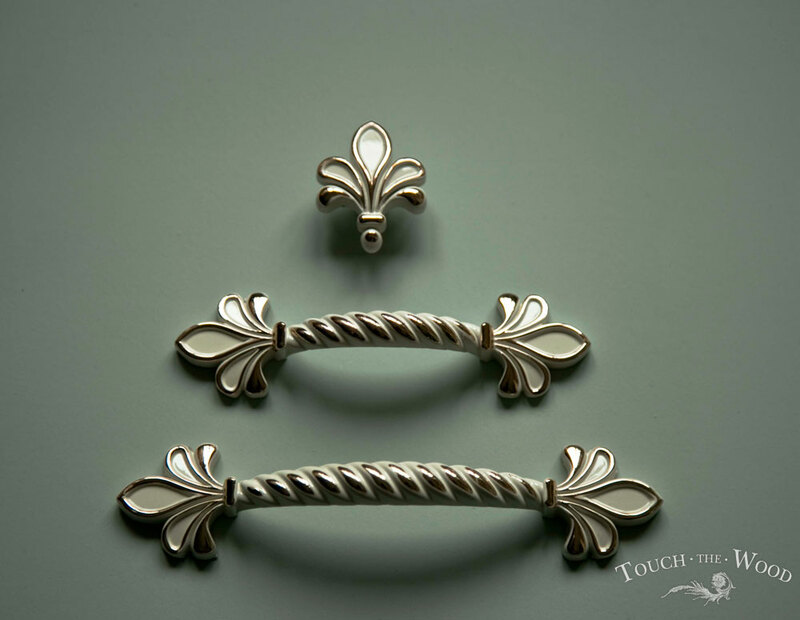 Our client wanted to change a handles as she does not like the original ones at all. So we bought new ones and they looked really nice with the piece. 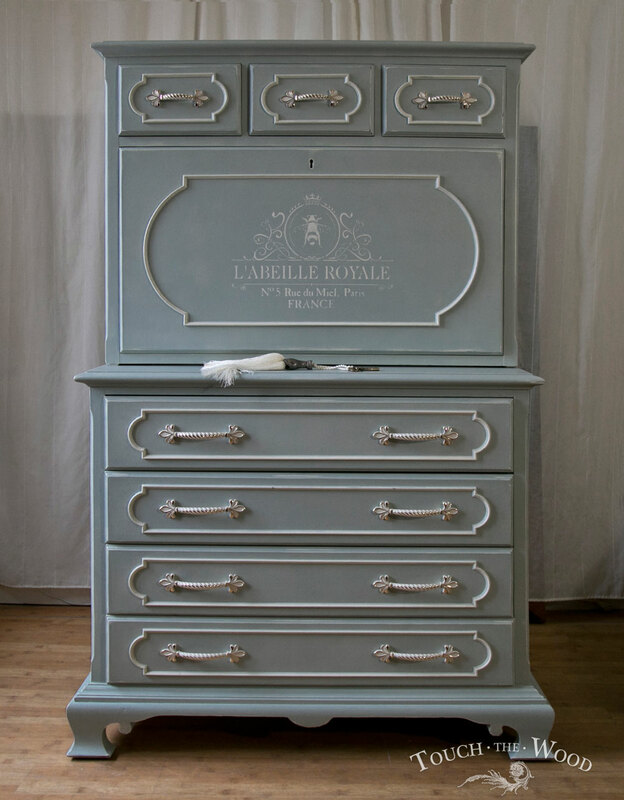 And for the colour we agreed to mix ‘Duck Egg Blue’ and ‘Original’, again from Annie Sloan palette. You can find this design as a stencil, water decal or instant download on our Etsy shop. We have few more pieces on the way, so sooner or later you will see them here.